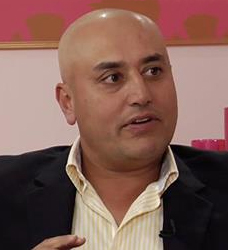 Sabeer Bhatia, the pioneer in the field of first web based e-mail - The Hotmail, was born in Chandigarh in the year 1969. He grew up in Bangalore and had his early education at Bishops Cotton's School in Pune, then St. Joseph's College in Bangalore. For a short-time he was a student at the Birla Institute of Technology (BITS), Pilani and in 1988 he went to US on a Cal Tech Transfer scholarship to get a bachelor's degree at the California Institute of Technology. He earned a master's degree in electrical engineering from Stanford University. After graduation, Sabeer briefly worked for Apple Computers as a hardware engineer and Firepower Systems Inc. While working there he was amazed at the fact that he could access any software on the internet via a web browser. His success graph took off exponentially when he, along with his colleague Jack Smith, set up Hotmail on 4th July 1996. Today, Hotmail remains the world's largest e-mail provider with over 50 million registered users. As President and CEO, he guided Hotmail's rapid rise to industry leadership and its eventual acquisition by Microsoft in 1998. Bhatia worked at Microsoft for a little over a year after the Hotmail acquisition and in April 1999, he left Microsoft to start another venture, Arzoo Inc. It's an e-commerce firm with a revolutionary new way to shop on line and may just turn out to be Bhatia's next multi-million dollar winner. Bhatia's success has earned him widespread acclaim; The venture capital firm Draper Fisher Jurvetson named him 'Entrepreneur of the Year 1997', MIT chose him as one of 100 young innovators who are expected to have the greatest impact on technology and awarded 'TR100', San Jose Mercury News and POV magazine selected him as one of the ten most successful entrepreneurs of 1998 and Upside magazine's list of top trendsetters in the New Economy named him 'Elite 100'.